We are here to help you. Tutoring services are available at no charge to students majoring in Economics. If you find yourself struggling in any of your classes, come to see us. We offer tutoring services for specific classes throughout the week to help students improve their understanding of course materials. All Tutoring Hours will begin the Week of April 15th! If you are interested in becoming a tutor for an Economics course, you will need to have completed the course with at least a B+ grade in order to be considered as a tutor and get permission from the instructor to tutor their class. Tutors earn one unit of credit for three hours of tutoring per week. Tutoring credit does not count toward the Economics major requirements. This is not a paid position. After you have been approved by the instructor as a tutor, you will need to complete a variable unit request form which can be picked up and returned to 2216 Social Sciences and Humanities. You will then be issued a course reference number (CRN) to enroll in ECN 197T via SiSWeb. 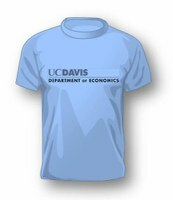 If you are interested in becoming a tutor for the Economics Department or have other questions about tutors, you may email Cindy Alvarenga, cealvarenga@ucdavis.edu.